New Delhi, Aug 22 : Nagesh Kukunoor is yearning to face the camera again. Absent from the big screen for the last four years, the director is now making an on-screen comeback with a cameo in his long-awaited project, “Aashayein”. 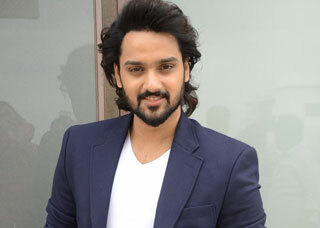 Last seen in a cameo in “Dor” in 2006, the filmmaker has acted in most of his films like “Hyderabad Blues”, “Rockford”, “Bollywood Calling”, “3 Deewarein” and “Hyderabad Blues 2”. “I am doing a cameo in “Aashayein”, but it is very very small. After ‘3 Deewarein’ where I truly had to test myself as an actor, I haven’t done anything significant as an actor. Now I feel that itch sort of returning,” Nagesh told IANS in a telephonic interview from Mumbai. Kukunoor, who worked as a chemical engineer in Atlanta in the US, returned to India to pursue his passion for films. He turned director in 1998 with the small budget “Hyderabad Blues”, in which he played the lead role too. The movie became hugely popular. Any particular role that he has sketched for himself? “There are several scripts that I’ve written…like a love story, a sports movie and a horror movie. I don’t know which one will take off first…It depends on that,” he said. But the 43-year-old doesn’t want to star in a lead role. “I don’t know if I’d cast myself in the lead because what happened with ‘Hyderabad Blues’ was more of a necessity. Otherwise I’d like to be more of an ensemble player. I have never seen myself in the lead. If someone else decides to cast me, that would be a different story,” he said. So is he open to acting in other filmmakers’ projects? As of now, Nagesh is gearing up for the release of his delayed emotional drama “Aashayein”. Shot entirely in Puducherry, it is the story of a compulsive gambler who wins a fortune and simultaneously realises he has only 90 days to live. He then discovers life through a dramatic turn of events and learns to live life all over again. It stars John Abraham in the lead. “In the process of the film, it is a reminder for both the audiences and myself that life is finite, so let’s learn to live it now,” said Nagesh. What kept the film waiting in the cans for almost two years? “The actual delay has been for a year and eight months and the reason for that was differences between the producers Percept Pictures and distributors Big Pictures,” he said. “It was more of a monetary thing – the price at which Percept sold the film to Reliance was not acceptable and there was a whole lot of confusion around that,” he added. However, Nagesh and John didn’t charge a dime for the project. “Both of us believed in the material so strongly that in order to make it work, we didn’t take money,” said the director, whose last two projects “8X10 Tasveer” and “Bombay To Bangkok” failed at the box office. And why John for this role? “That was for two simple reasons. One was to cast John in something he’s never done before. He is known as this hunk – this dude. To take him and make him do something which makes the audience go ‘O my god’ was very exciting. “Second, John’s honesty as a person is literally written on his face. I felt very strongly that if I could tap into that and bring it out on screen, I’d be fine and get my job done,” the director said. Nagesh’s future projects include another awaited venture “Yeh Hausla” and a Kishore Kumar biopic.